Whether you love them or hate them, you have to admit that putting a permanent reminder on your body of your profession or hobby shows some true love and devotion. 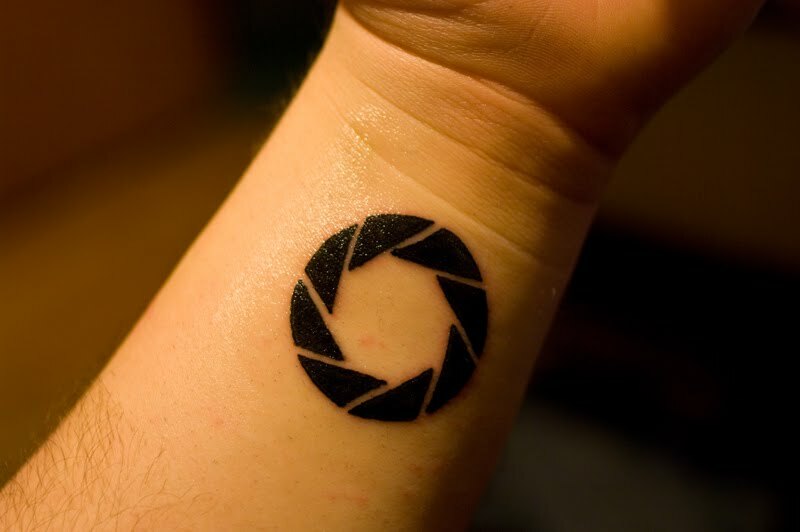 We recently went on a search for photography related tattoos and these kind people took a few minutes to tell us about them. "I do my best not to over-analyze my tattoos, but I really got this one out of my love for the medium. As a full-time freelance photographer, I am constantly working in a digital atmosphere. I love digital, but there will always be something about working with film that's exciting to me. I have been familiar with Polaroid for years, but my first Polaroid Land Camera was gifted to me on my birthday two years ago. 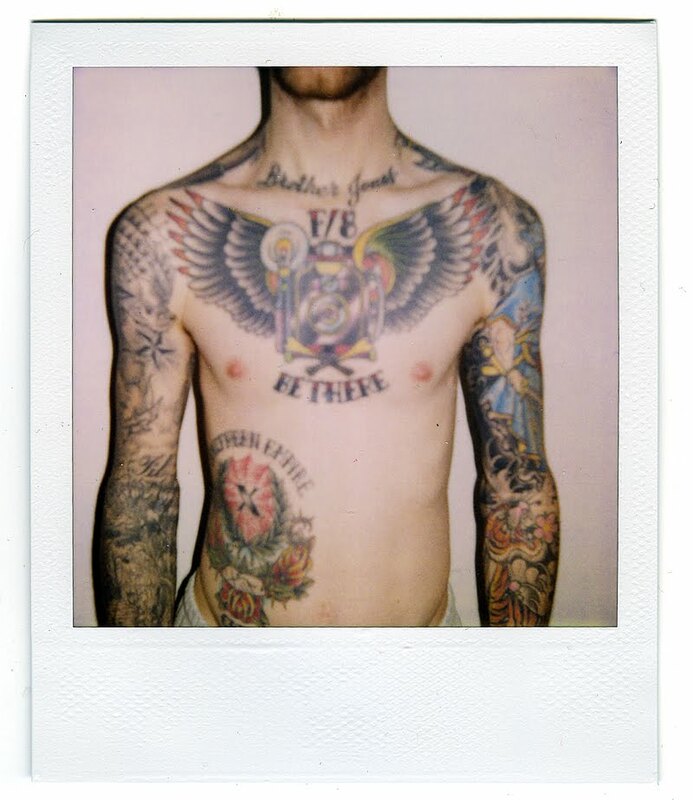 Since then, I've been hooked on Polaroids of all different formats, dying or not. 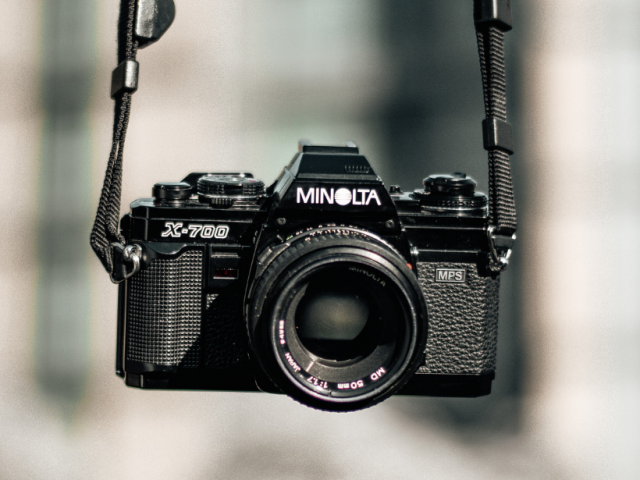 I wanted to pay homage to my love of photography, my best friend, and what I consider to be a downright sweet camera body, all at the same time." Photographer: Jessie Barber. Tattoo artist: Scott Santee. "I turned pro this year and wanted something to mark the event. Also, it was my dad's camera from the 1950's (a Kodak Retina IIc ) & I always remember him using it when I was a kid." Photographer: Jeff Oliver. Tattoo artist: Randy Muller. 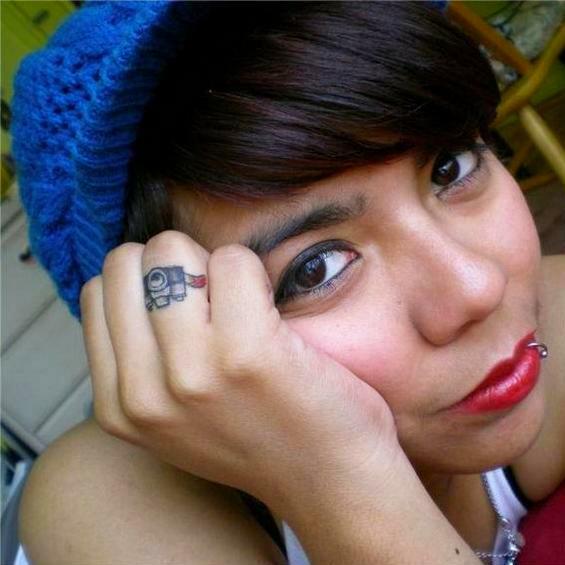 "I wanted a pin-up tattoo and I decided that she should be a photographer to mark my own history with film cameras. Like so many photographers, I have mostly gone to a digital format and I felt like my training and skills as a film photographer deserved to be commemorated. 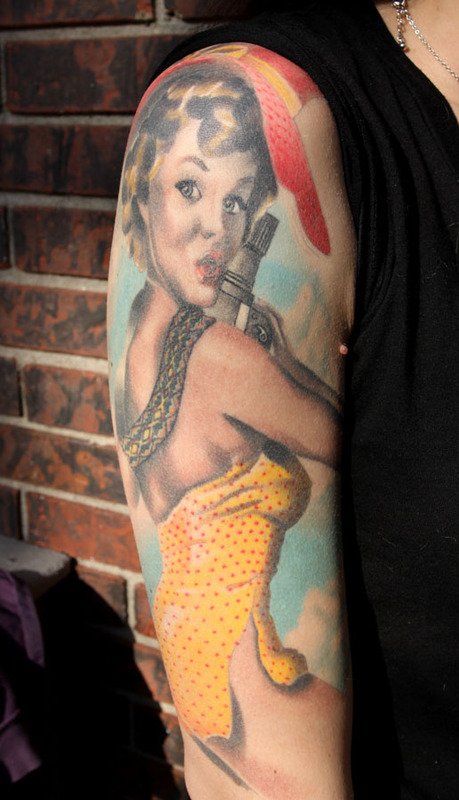 The pin-up with a camera seemed like the perfect tattoo to honor my history with film." Photographer/web designer: Alianor Chapman. Tattoo Artist: Tim Orth. 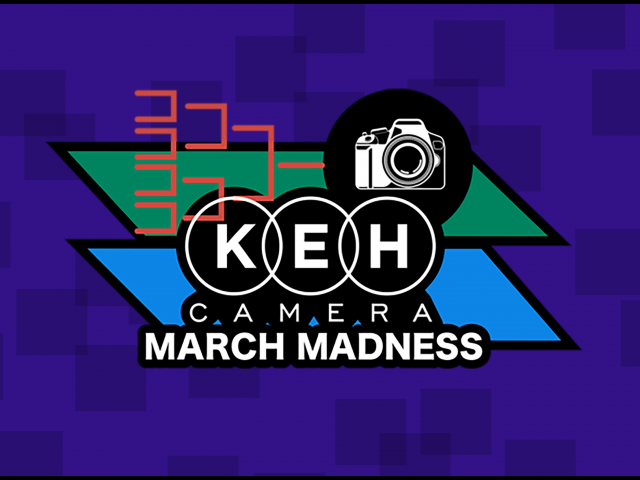 "It is a traditional design of an old press camera (centered on chest), and it has wings coming off of it. Around it says f/8 Be There. Ask any photojournalist and they will be familiar with this famous saying. To me it helps me remember to keep it simple and focus on getting the picture. Don't worry about all your gear and all the technical things. Just be in the moment, in the story and making pictures." Photographer: Raymond McCrea Jones. Tattoo artist: Adam Barton. 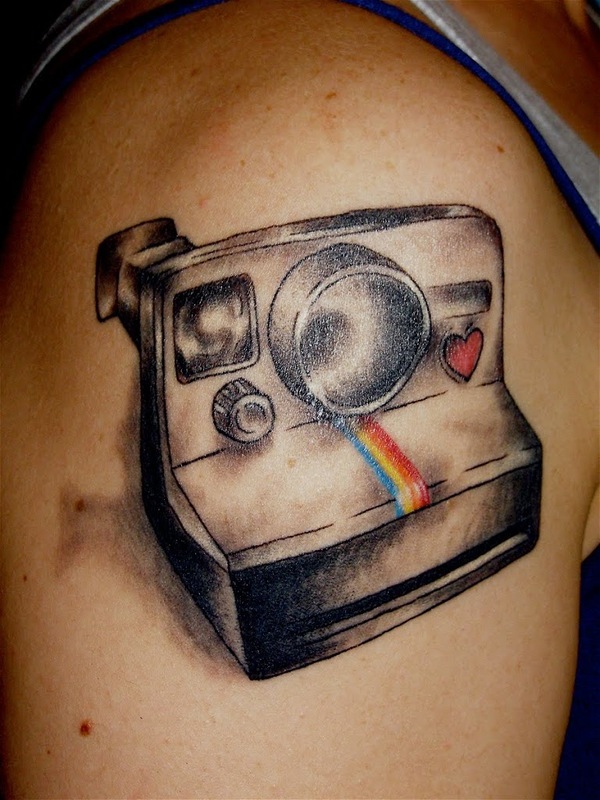 "I'm a collector of Polaroid cameras and this is a Polaroid SuperColor OneStep Land Camera". On: Sarah Moran. Tattoo Artist: Dan Catron. "The tattoo itself is actually a commitment ring. There are few things in life I think are worth committing to for the rest of one's life, but photography is one of those things for me. I got it during my second year at art school as a photography major, and after having been in love with photography for about five years. I had pretty much already decided that I was going to devote my professional life to photography. 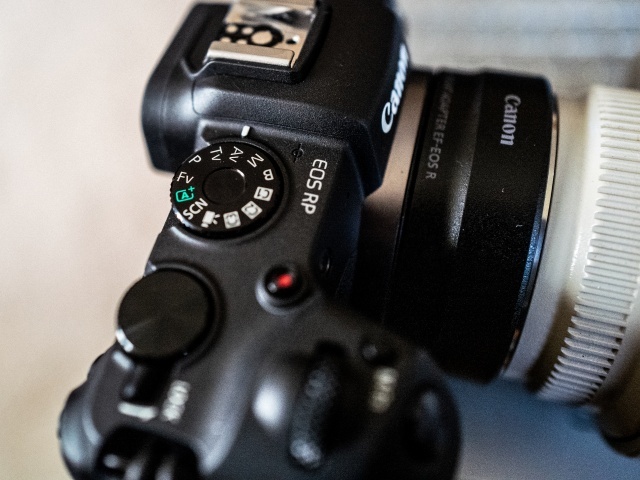 I wanted a constant reminder of my love and commitment for photography, as well as a way of displaying how photography is a major & permanent part of who I am." Photographer: Jesenia Quijada. Tattoo artist: Unknown. 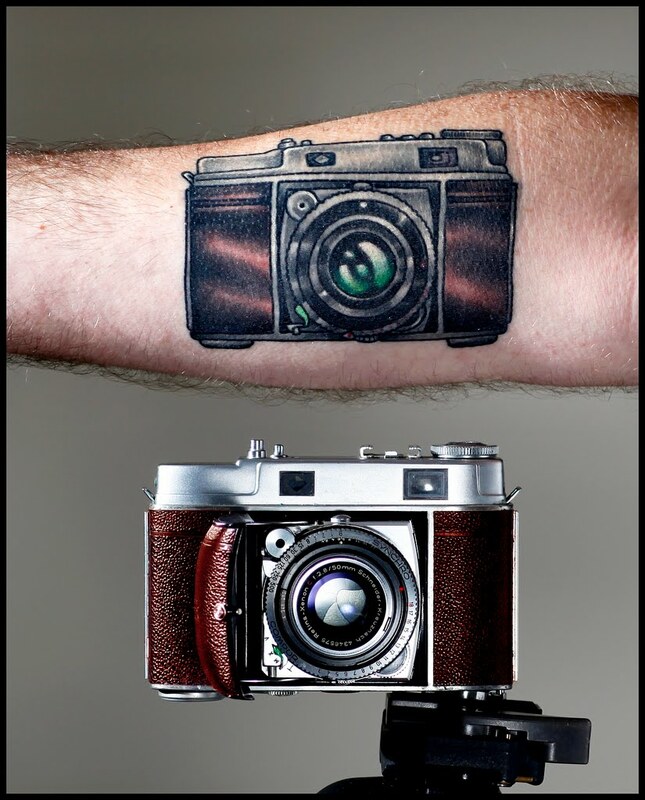 "The tattoo is of my first real camera, an AE-1 Program, that my mom bought for me when I was a teenager (you will also notice the film is Fuji, which has been my preferred film since the beginning). I had cheapo plastic point and shoots but they couldn't take the shots I wanted. Then I got the AE-1 and within the first month I had taken over 1000 frames! I have no clue how many frames that little camera has shot, it made it through high school and is still working and carried in my car with me wherever I go. I will keep this camera for the rest of my life, one way or another." Photographer: Daniel Miller. Tattoo artist: Lovely Lo. "Photography for me was one of those hobbies that just totally engulfed me at one point and still hasn't let go. Most of the time I'm pretty functional in social situations, but as soon as you mention Nikon or aperture, the red mist descends and my mind totally shifts to photography. In this sense the aperture blades of a lens' iris made sense as a tattoo. Its presence also serves to remind me why I love photography-- It's saved me from the pits of artistic stagnation more than once." Photographer: Dan Nitzh. Tattoo artist: Unknown. 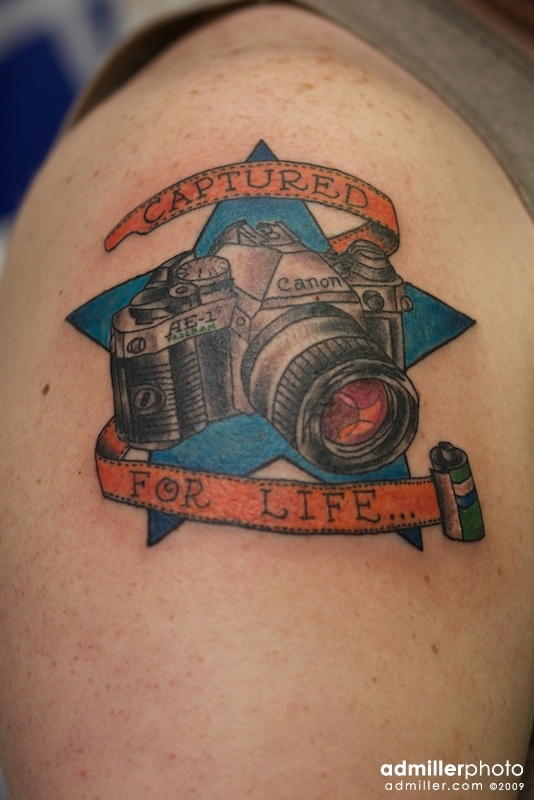 Click HERE to view more camera tattoos on Flickr.